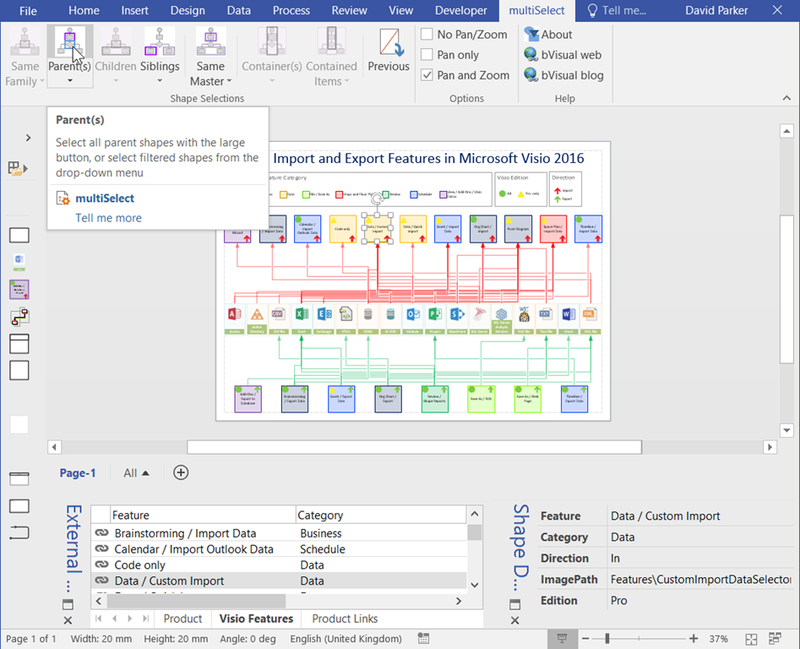 I have had some comments that the diagram in my previous post ( see https://blog.bvisual.net/2015/11/16/data-import-and-export-features-in-visio-2016-and-2013/ ) was a little hard to follow. May I suggest my free multiSelect add-in can help? ( see https://blog.bvisual.net/2012/07/20/multiple-selection-methods-for-visio-diagrams/ ). In the following screenshot from Visio 2016 with multiSelect installed, I have selected the Data \ Custom Import feature shape. This makes the multiSelect ribbon tab visible, and I have ticked Options \ Pan and Zoom, and I am about to click the Shape Selection \ Parents button. 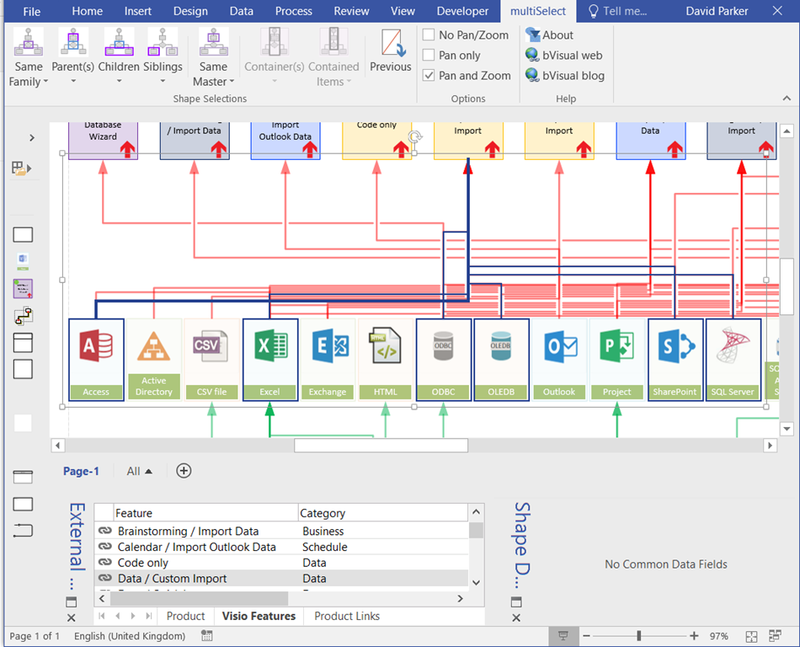 Visio then selects all of the data source shapes that feed the chosen feature, and zooms in. I can the, of course, decide to format the selected shapes. Well, I say it’s free, but it did take me a while to write … there is a Donate button on the About dialog….